The Large Hadron Collider (LHC) is the world's largest and most powerful particle collider, built by the European Organization for Nuclear Research (CERN) from 1998 to 2008. 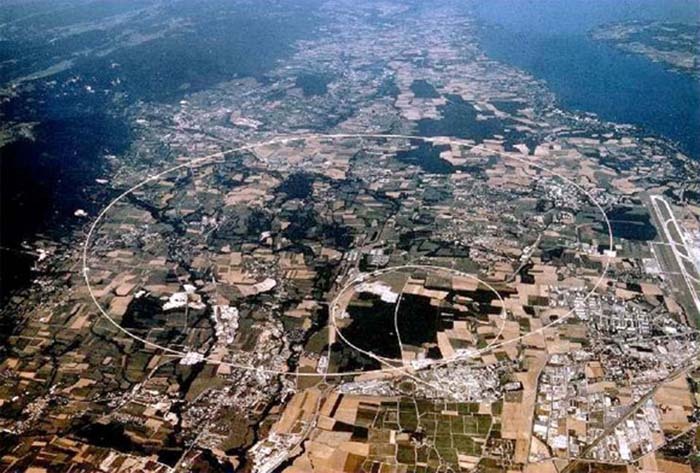 Its aim is to allow physicists to test the predictions of different theories of particle physics and high-energy physics, and particularly prove or disprove the existence of the theorized Higgs particle and of the large family of new particles predicted by supersymmetric theories. The LHC is expected to address some of the unsolved questions of physics, advancing human understanding of physical laws. It contains seven detectors, each designed for certain kinds of research. as well as hundreds of universities and laboratories. Six years after its discovery, the Higgs boson has at last been observed decaying to fundamental particles known as bottom quarks. The finding, presented today at CERN1 by the ATLAS and CMS collaborations at the Large Hadron Collider (LHC), is consistent with the hypothesis that the all-pervading quantum field behind the Higgs boson also gives mass to the bottom quark. Both teams have submitted their results for publication today. The Standard Model of particle physics predicts that about 60% of the time a Higgs boson will decay to a pair of bottom quarks, the second-heaviest of the six flavors of quarks. Testing this prediction is crucial because the result would either lend support to the Standard Model Ð which is built upon the idea that the Higgs field endows quarks and other fundamental particles with mass Ð or rock its foundations and point to new physics. Spotting this common Higgs-boson decay channel is anything but easy, as the six-year period since the discovery of the boson has shown. The reason for the difficulty is that there are many other ways of producing bottom quarks in protonÐproton collisions. This makes it hard to isolate the Higgs-boson decay signal from the background "noise" associated with such processes. By contrast, the less-common Higgs-boson decay channels that were observed at the time of discovery of the particle, such as the decay to a pair of photons, are much easier to extract from the background. If youÕve been a science fan for the last few years, youÕre aware of the exciting results to emerge from the Large Hadron Collider (LHC), which in 2012 found the Higgs boson, the subatomic particle responsible for giving mass to fundamental subatomic particles. Today, physicists have another exciting announcement to add to the Higgs saga: They have made the first unambiguous observation of Higgs bosons decaying into a matter-antimatter pair of bottom quarks. Surprisingly, the Higgs bosons decay most often in this way. 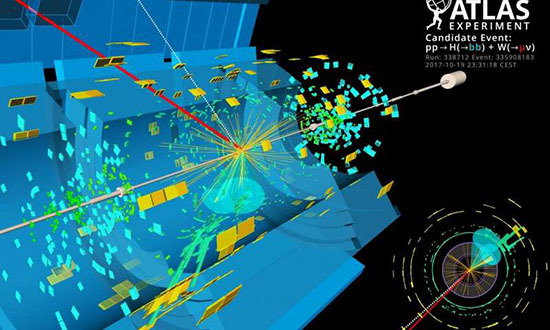 The new announcement shows a strong agreement between the theoretical predictions and the experimental data, which could in turn set strict constraints on ideas of more fundamental physics that strive to explain why the Higgs boson even exists. Flit, zip, jitter, boom. Quarks, the tiny particles that make up everything tangible in the universe, remain deeply mysterious to physicists even 53 years after scientists first began to suspect these particles exist. They bop around at the edge of scientific instruments' sensitivities, are squirreled away inside larger particles, and decay from their higher forms into their simplest in half the time it takes a beam of light to cross a grain of salt. The little buggers don't give up their secrets easily. That's why it took more than five decades for physicists to confirm the existence of an exotic particle they've been hunting since the beginning of quark science: the massive (at least in subatomic particle terms), elusive tetraquark. The discovery will help researchers learn more about the so-called "strong force" which holds the centers of atoms together. The existence of the new particle was theoretically predicted but this is the first time it has been identified. 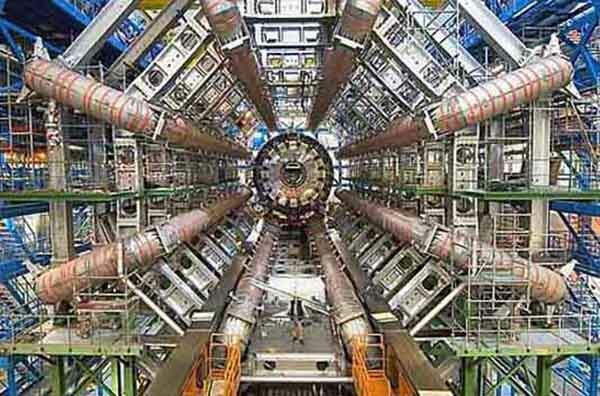 The particle, which the scientists have named Xi-cc++, was discovered using the Large Hadron Collider. While the particles were predicted to exist, this is the first time that scientists have been able to confirm their existence. The discovery could shed new light on the 'strong force' which holds the centers of atoms together. Previous attempts to detect the particles have been inconclusive. They were discovered by scientists in charge of the LHCb experiment, also known as 'beauty', which is exploring what happened just after the Big Bang that gave birth to the universe. By measuring their properties, physicists hope to gain greater insight into the strong nuclear force that binds the building blocks of atoms together. When you're searching high and low for your lost keys, sometimes the places where you don't see them can help you narrow down where they might be. In science, the search for new physics often takes a similar path. In December 2015, scientists at the Large Hadron Collider (LHC) - the world's largest particle accelerator - thought they may have seen a hint of a brand-new particle, and with it, a window into physics beyond what scientists know now. But the findings turned out to be ghosts, a statistical fluke. Yet despite the negative result, the fact that there is nothing there shows that reigning theories of particle physics are working remarkably well, experts said. But that result only deepens the mysteries physicists are trying to solve, and pushes them to find out just where new particles or forces could be hiding. An awe-inspiring new video is a reminder of just how enormous the Large Hadron Collider really is - and it looks even bigger when you get to see all of it. The video (above), which BBC News released last week, offers an unprecedented 360-degree view of the particle collider. At any time during the video, viewers can click on the screen and drag the mouse to reorient their point of view within the massive machine. ItÕs something very few people have seen, narrator Spencer Kelly says in the video. The LHC is the largest machine in the world and sits a little more than 325 feet beneath the Swiss-French border. 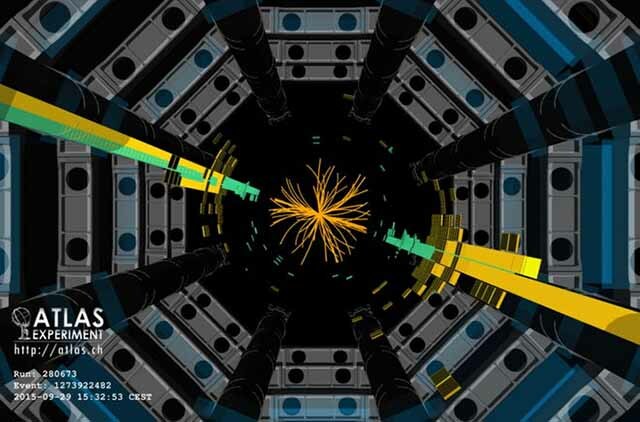 September 15, 2015 It was first predicted to exist in the 1960s but, much like the Higgs boson particle before it, the pentaquark eluded science for decades until its detection at the LHC. 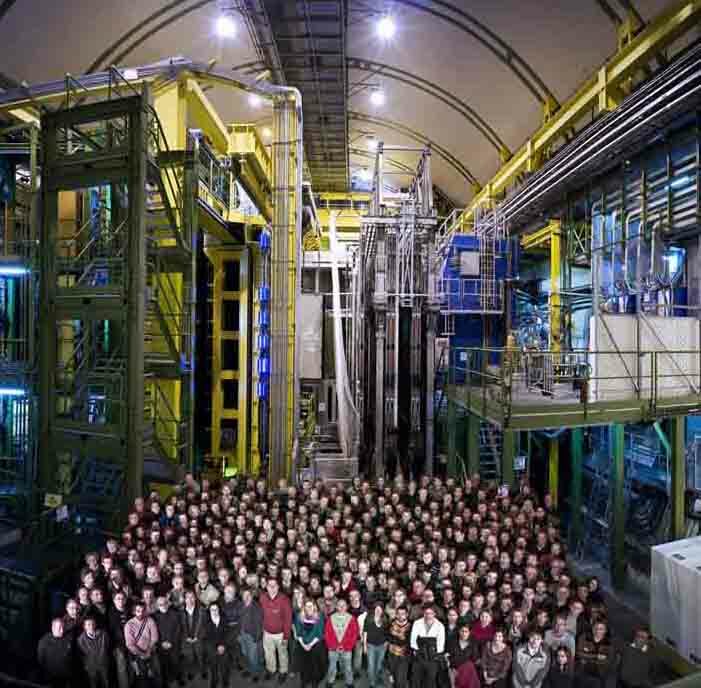 The discovery, which amounts to a new form of matter, was made by the Hadron Collider's LHCb experiment. A key part of the process was the set-up of the collimators. These devices which absorb stray particles were adjusted in colliding-beam conditions. This set-up will give the accelerator team the data they need to ensure that the LHC magnets and detectors are fully protected. Today the tests continue. Colliding beams will stay in the LHC for several hours. 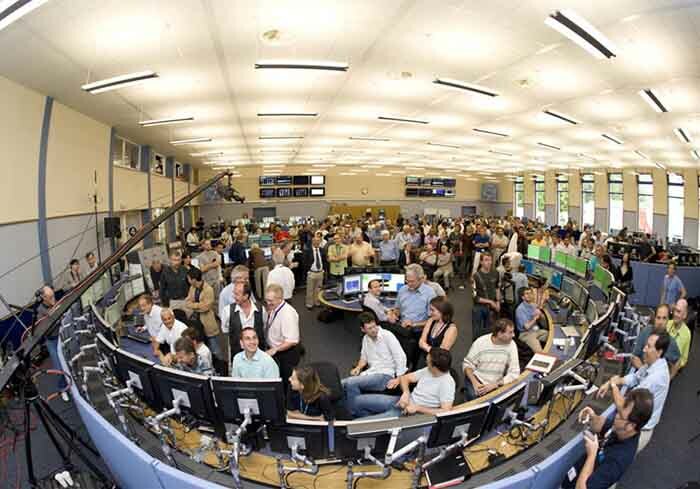 The LHC Operations team will continue to monitor beam quality and optimization of the set-up. The first run of the LHC had a single overarching goal: finding the Higgs boson, the particle that explains how other particles get their mass. With that task accomplished in 2012, scientists are now on the hunt for completely new physics. The Higgs Boson was discovered on July 4, 2012. The discovery has been called "monumental" because it appears to confirm the existence of the Higgs field, which is pivotal to the Standard Model and other theories within particle physics. 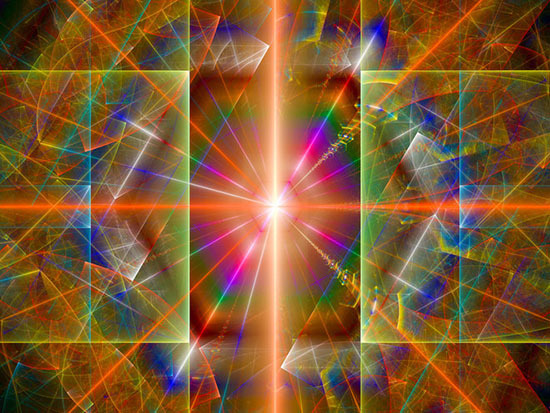 It would explain why some fundamental particles have mass when the symmetries controlling their interactions should require them to be massless, and why the weak force has a much shorter range than the electromagnetic force. 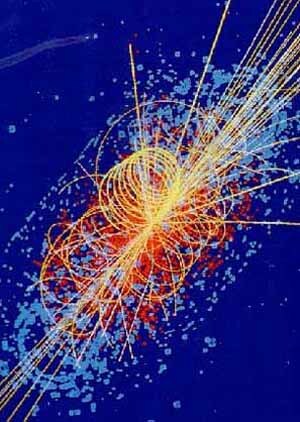 The discovery of a Higgs boson should allow physicists to finally validate the last untested area of the Standard Model's approach to fundamental particles and forces, guide other theories and discoveries in particle physics, and potentially lead to developments in "new" physics. By August 2014, the LHC had discovered a massive 125 GeV boson (which subsequent results confirmed to be the long-sought Higgs boson) and several composite particles. The Higgs boson, which was recently confirmed to be the origin of mass, may also be responsible for the mode of inflation and shape of the Universe shortly after the Big Bang.